The microbial invasion and their growth inside the host body is known as infection. Certain network of cells, tissues, and organs fight against infection that causes disease is called as immune system. The infection and immunity provides the interaction between bacterial fungal and parasitic pathogen interactions between hosts. This area includes expanded scientific study information on molecular pathogenesis, virulence factors, cellular microbiology, experimental models of infection, host resistance or susceptibility, the generation of innate and adaptive immune responses, innovative techniques that determine the Immunodeficiency disorders, autoimmune disorders, allergic disorders, and immune system studies and thoughts will be shared at the “Infection Congress 2018” March 1-2, 2018 Berlin, Germany. Annual Epidemic Intelligence Service Conference, April 16-19, 2018, Atlanta GA; The European Congress of Clinical Microbiology and Infectious Diseases, April 21-24 2018, Madrid, Spain; Targeting Infectious Diseases: Targeting Phage & Antibiotic Resistance 2018, May 17- 18 2018, Florence, Italy; Infectious Diseases Diagnostics Conference Feb 21- 22 2018, London, United Kingdom; Viruses 2018-Breakthroughs in Viral Replication Feb 07 - 09 2018, Barcelona, Spain; The Microbiology Society Annual Conference, April 10-13, 2018, Birmingham, UK. Clinical Virology Symposium May 6–9, 2018, West Palm Beach, Florida; 28th European Congress of Clinical Microbiology and Infectious Diseases, April 21 - 24 2018, Madrid, Spain; 68th Canadian Society of Microbiologists Annual Conference, June 18 - 21, 2018, Winnipeg, MB; 18th International Congress on Infectious Diseases, March 1-4, 2018, Buenos Aires, Argentina. Europe: Spanish Society of Paediatric Infectious Diseases, Spain; Spanish Society of Paediatric Clinical immunology and Allergy, Spain; Spanish Association of Paediatric Primary Care, Spain, British Society for Immunology, U.K; European Society for Immunodeficiencies, Switzerland. USA: Infectious Disease Association of California, USA; Infectious Diseases Society of America, USA, The Association for Professionals in Infection Control and Epidemiology, Inc, USA. Asia Pacific: Infectious Diseases Association of Thailand, Thailand; Pediatric Infectious Diseases Society for Thailand, Thailand; The Swiss Society for Infectious Diseases, Switzerland, Society of Infectious Disease, Singapore, New South Wales Infection Control Association, Australia. The host and microbial genetics are studied as molecular biology and genetic subjects. The infection causing microbial invasion and their physiochemical properties of proteins, phenotype expressions, interactions with host and transcriptomics, life cycle, transduction, host immune responses against infections, gene transfer and new recombinant techniques will be highlighted at "Infection Congress 2018" March 1-2, Barcelona, Spain. Conference will be organized with the theme “Emergence, Insight of New Techniques in Infectious Diseases & Prevention, Control”. Annual Epidemic Intelligence Service Conference, April 16-19, 2018, Atlanta GA; The European Congress of Clinical Microbiology and Infectious Diseases, April 21-24 2018, Madrid, Spain; Targeting Infectious Diseases: Targeting Phage & Antibiotic Resistance 2018, May 17- 18 2018, Florence, Italy; Infectious Diseases Diagnostics Conference Feb 21- 22 2018, London, United Kingdom; Viruses 2018-Breakthroughs in Viral Replication Feb 07 - 09 2018, Barcelona, Spain; The Microbiology Society Annual Conference, April 10-13, 2018, Birmingham, UK. Clinical Virology Symposium May 6–9, 2018, West Palm Beach, Florida; 28th European Congress of Clinical Microbiology and Infectious Diseases, April 21-24 2018, Madrid, Spain; 68th Canadian Society of Microbiologists Annual Conference, June 18 - 21 2018, Winnipeg, MB; 18th International Congress on Infectious Diseases, March 1-4, 2018, Buenos Aires, Argentina. It defines as the sustainability of microbes in the host and cause illness. Most of the experts tried to find the ways to explore research studies on microbial pathogenesis that results deadly diseases. Infection congress 2018 is going to be platform to discuss and understand the host-pathogen interaction. USA: Canadian Association for Clinical Microbiology and Infectious Diseases, Canada; National Institute of Allergy and Infectious Diseases, USA; Canadian Public Health Association, Canada; Tropical Pathology & Infectious Diseases Associations, Peru; International Society for Infectious Diseases, USA. The infections experience in health care settings has become more challenging. Most of the duty workers get exposed commonly to a variety of infectious diseases during the performance of their duties. The primary route of infections transmission are airborne, contact (direct and indirect) which involves the entry of infectious agents from infected individual to a susceptible individual through physical contact and Indirect contact transmission occurs by susceptible individual physical contact with contaminated items. Infection congress 2018 is going to be a platform to discuss microbes that cause illness and its awareness of exposure in the health care settings. Europe: Infectious Diseases Society of Ireland, Ireland; The International Society for Neglected Tropical Diseases, United Kingdom; HealthCare Infection Society, London; Society of Infectious Disease; Spanish Society of Paediatric Infectious Diseases, Spain; British Society for Immunology, U.K; European Society for Immunodeficiencies, Switzerland. USA: Infectious Diseases, Canada; National Institute of Allergy and Infectious Diseases, USA; Canadian Public Health Association, Canada; Tropical Pathology & Infectious Diseases Associations, Peru; International Society for Infectious Diseases, USA. Asia Pacific: Infectious Diseases Association of Thailand, Thailand; Pediatric Infectious Diseases Society for Thailand, Thailand; The Swiss Society for Infectious Diseases, Switzerland, Society of Infectious Disease, Singapore, New South Wales Infection Control Association, Australia; Victorian Infection Control Association. Most of the diseases have similar signs and symptoms but the samples of the infected host body fluid disclose the microbe cause the illness. However the detection of microbes that causes infectious diseases plays key role in medical research. 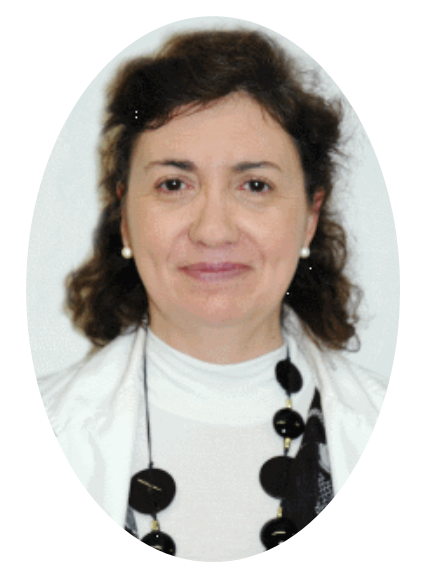 Europe: Spanish Society of Paediatric Clinical immunology and Allergy, Spain; Spanish Association of Paediatric Primary Care, Spain, British Society for Immunology, U.K; European Society for Immunodeficiencies, Switzerland. USA: Canadian Association for Clinical Microbiology and Infectious Diseases, Canada; ; National Institute of Allergy and Infectious Diseases, USA; Canadian Public Health Association, Canada; Tropical Pathology & Infectious Diseases Associations, Peru; International Society for Infectious Diseases, USA. Asia Pacific: New South Wales Infection Control Association, Australia; Victorian Infection Control Association, Australia; Victorian Infection Control Professionals Association, Australia; Infection Control Practitioners Association of Queensland, Australia; Infection Control Association of South Australia, Australia. An inflammatory disease understands the host body’s mechanism and demonstrates the final outcome of infection can be determined by the host genetic makeup of the infecting agent. The advancement in in molecular biology and medical devices modernized ability to detect very low numbers of infectious agents in specimens collected directly from the affected site. Most of the diseases caused by infectious agents can be discussed their progression with a wide spectrum of clinical manifestations and their outcomes in Infection congress 2018. 8th Microbiology Conferences February 22-23, 2018 Paris, France; 16th Microbiology Conferences, May 21-23, 2018, Vienna, Austria; 9th Emerging Infectious Diseases Conferences, 31st August-1st September 2018 Zurich, Switzerland; 4th Rare Diseases Conferences, June 11-12, 2018 Dublin, Ireland; 6th Bacteriology Conferences May 25-26, 2018 New York, USA; 6th STDs, STIs & HIV/AIDS Conferences, October 29-30 , 2018 Madrid, Spain, 4th Influenza ConferencesJuly 2-3, 2018 Vienna, Austria 10th Virology Conferences July 2-4, 2018 Vienna, Austria,. 11th Medical Microbiology Conferences July 19-21, 2018 Rome, Italy. 2nd STDs, STIs & HIV/AIDS Conferences, Montreal, Canada, May 18-19, 2018; 16th Influenza Conferences, Orlando, USA, March 28-29, 2018; 8th Inflammatory Diseases Conferences, Vienna, Austria, May 21-22, 2018; Bacteriology Conferences, Paris, France, June 18-19, 2018; 8th Infectious Diseases Conferences, London, UK, June 07-08, 2018; 10th Microbiology Conferences, June 14-16, 2018, London, UK; 7thMicrobiology Research Conferences, August 13-14, 2018, Madrid, Spain; Microbial Biotechnology Conferences, September 17-18, 2018 Lisbon, Portugal; 2nd Medical and Clinical Microbiology Conferences, July 16-17, 2018 Melbourne, Australia; Microbialphysiology Conferences July 16-18, 2018 London, UK. Vector borne illnesses are caused by living organisms called vectors that carries infective agents parasites or pathogens in human beings. It took 18% account in all infectious diseases. The distribution of vector borne diseases can be seen due to climate change, unplanned urbanisation and other environmental factors. 5th International congress on infectious diseases will be a great platform to share and explore the outbreaks and sensitivity of vector borne related infectious diseases. Zoonotic diseases are transmitted from animals to humans either by direct contact or indirect contact. 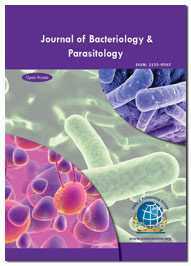 Emergence of zoonotic diseases on Environmental changes, human and animal demography. Infection congress 2018 will be a plat form to discuss current knowledge and future directions of zoonotic infectious diseases. Emergence and re-emergence of neglected tropical infectious diseases (NTDS) has become public health burden affecting developing countries. NTDs are caused by parasites, viruses, bacteria infecting over 2 billion people worldwide. It took tremendous toll on global health causing serious threat and has not been effective examination or discussed in terms of their unique risk characteristics. 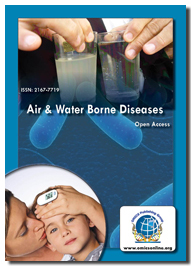 The various research case studies educate awareness and guidance for potential approaches will be addressed in upcoming 5th International congress on infectious diseases scientific platform. Europe: Infectious Diseases Society of Ireland, Ireland; The International Society for Neglected Tropical Diseases, United Kingdom; HealthCare Infection Society, London; Society of Infectious Disease; Spanish Society of Paediatric Infectious Diseases, Spain. Asia Pacific: Infectious Diseases Association of Thailand, Thailand; Pediatric Infectious Diseases Society for Thailand, Thailand; The Swiss Society for Infectious Diseases, Switzerland, Society of Infectious Disease, Singapore, New South Wales Infection Control Association, Australia; Victorian Infection Control Association, Australia. Food borne infections are any infections resulting by spoilage contaminated food. Several pathogenic microbes surrounded by us are the common agent for contaminated food ex- pathogenic bacteria, viruses, parasites. As well as toxins such as Enterotoxins of various Microbial species also causes food contamination. Symptoms of foodborne infection include vomiting, fever, and aches, and may include diarrhea. Sometime toxins or pathogens may invade to blood streams and results fatal. Foodborne infection usually causes by improper handling, preparation and storage of food before, during, and after food preparation. So to eradicate health hazards due to food borne infection proper hygiene particulates should be followed by us. Instead of that we must be care full about the quality of foodbefore having it and most of the foods borne infections are preventable. Europe: Infectious Diseases Society of Ireland, Ireland; The International Society for Neglected Tropical Diseases, United Kingdom; Health Care Infection Society, London; Society of Infectious Disease; Spanish Society of Paediatric Infectious Diseases, Spain; British Society for Immunology, U.K; European Society for Immunodeficiencies, Switzerland. Infection from mother to fetus, in just born babies and children is growing danger. The death rates are increasing due to infections. The scientific studies, research, education on pediatric infections need to be known. 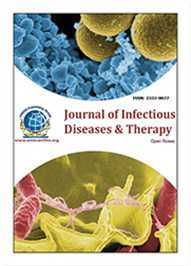 The epidemiological features of congenital and neonatal diseases due to bacterial, viral, vector borne infections despite become more threat. Infection Congress 2018 is going to be platform to know epidemiological and clinical studies. Conference will be organized with the theme “Emergence, Insight of New Techniques in Infectious Diseases & Prevention, Control”. Rare infectious diseases are nothing but the infections occurs in a small percentage of population. These are mostly caused by genetic factor or by environmental factor. So a person having any rare infection suffers for throughout his life. Mostly these diseases are fatal. Histoplasmosis, Rat-bite fever, Q fever, Laryngeal, Papillomatosis, Parechovirus B are some rare infectious diseases. Symptoms for a rare infection not immediately appear so it is very difficult to diagnose so these diseases are very chronic. Airborne infections are transmitted by air due to inhalation of expectorate by the infected patient that contain this positive infection causing agent nuclei. The exposure to this global threat bacterium is seen mostly in children, immune deficiency people, HIV infected people and becomes more deadly results difficult to control. Contact infectious diseases are nothing but the infections which are transmitted by direct contact with the infected person. These infections caused by several bacteria, virus and parasites and transmitted by either air, Water, food or also by direct contact like touch. The studies on these infections with new innovative techniques to control, preventive measurements, drug discoveries, new approaches to diagnosis and epidemiological analysis will be discussed at “Infection congress 2018” March 01-02, 2018 Berlin, Germany. Conference will be organized with the theme “Emergence, Insight of New Techniques in Infectious Diseases & Prevention, Control”. Asia Pacific: Infection Control Association of Western Australia, Australia, Philippine Hospital Infection Control Society, Philippine; New South Wales Infection Control Association, Australia; Victorian Infection Control Association, Australia; Victorian Infection Control Professionals Association, Australia; Infection Control Practitioners Association of Queensland, Australia; Infection Control Association of South Australia, Australia; Infection Control Association of Western Australia, Australia, Philippine Hospital Infection Control Society, Philippine. Conference series pleased to announce 5th International congress on infectious diseases, held during March 1-2 2018 Berlin Germany. We are happy to invite all anticipated participants to share and explore their research findings as keynote presentations, Oral talks, Poster presentations, Workshops and Exhibitions. About half of the deaths from all over the world are due to Infectious diseases. The impact of super bugs challenges human race with unpredictable epidemics, outbreaks that took major rank in deaths and economical damage. Infection congress 2018 is going to be platform for the concern people around world on infectious diseases. It aims to expose current and future trends, new techniques, epidemiology’s among peers, speakers, learning space for young researchers, and workshops. Conference Series is an open resource platform that conducts 3000+ global events including International Conferences, Workshops, Symposia, Trade Shows, Exhibitions and Science Congresses in all the major scientific disciplines, including Clinical, Medical, and pharmaceutical, Engineering, Technology, Business Management and Life Sciences across America, Europe, The Middle East, and Asia Pacific. It is reaching over 25 million researchers, scholars, students, professionals and corporate entities all over the globe. Infection Congress 2018 will be organised with theme “Emergence, Insight of New Techniques in Infectious Diseases & Prevention, Control”. Infection Congress 2018 is nonpareil and open platform to explore and gain the knowledge in the field of Life science. This conference brings together professors, researchers, scientists, students in all the areas of medical sciences, pharmaceutical, Life sciences, Medical associations and societies, enables an international forum to explore the approved research. Conference Series is delight to invite you all to attend and register for the “5th International Congress on Infectious Diseases (Infection Congress 2018)” scheduled for March 01-02, 2018 at Berlin, Germany. The organizing committee is gearing up for an exciting and informative conference program this year also which includes plenary lectures, symposia, workshops on a variety of topics, poster presentations and various programs for participants from all over the world. We invite you to join us at the Infection Congress 2018, where you will be sure to have a meaningful experience with scholars from around the world. All members of the Infection Congress 2018 organizing committee look forward to meeting you in Berlin, Germany. Berlin is Germany’s most important key features for health care for fastest growing economic sectors worldwide. 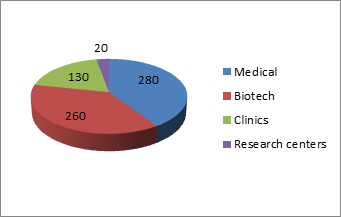 The city is cluster of related companies and associations that includes 280 Medical Technology companies, 260 biotech and Pharma companies, with 130 clinics and 20+ large Research centres specialising in Health care and life sciences. Berlin Wall Memorial and Documentation Centre.